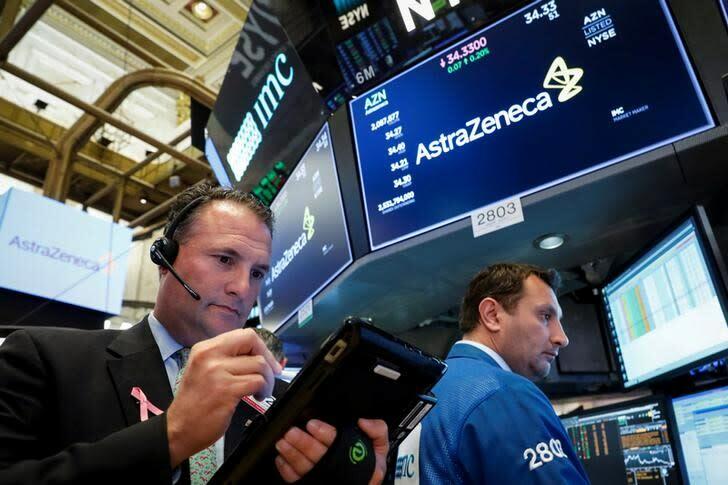 LONDON (Reuters) - AstraZeneca's oncology business received a boost on Wednesday as results of a clinical trial showed its drug Lynparza helped women with ovarian cancer live longer without their disease worsening when given as a first-line treatment. Lynparza - abandoned at one stage by AstraZeneca but revived by CEO Pascal Soriot when he took over in 2012 - became the first drug in a class known as PARP inhibitors to reach the market when it won U.S. approval at the end of 2014. Based on the strong results seen in the latest Phase III study, known as SOLO-1, AstraZeneca and Merck said they would talk to regulators about approving the earlier use of the medicine in women with BRCA mutations, which can drive tumour growth. "It is the first time that we see a significant and clinically impactful improvement in progression-free survival in the first-line maintenance setting for women with BRCA-mutated ovarian cancer treated with a PARP inhibitor," said Sean Bohen, chief medical officer at AstraZeneca.